Today’s New York Times has an article by the psychoanalyst Leon Hoffman about Sigmund Freud’s only visit to the United States, which started a century ago today. As is well known, Freud was invited by Granville Stanley Hall to give a series of lectures at the celebrations for the 20th anniversary of Clark University in Worcester, MA, of which Hall was President. 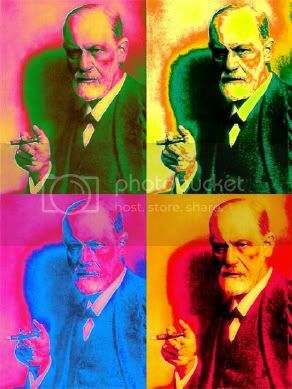 Freud’s lectures, given in German, were translated and became the book The Origin and Development of Psychoanalysis, which has been in print ever since. Hoffman, however, focuses on Freud’s relationship with the Boston neurologist, James Jackson Putnam, who invited Freud to his retreat in the Adirondacks, where Putnam became a convert to the Austrian’s system of psychotherapy. Two years later Putnam would become the first president of the American Psychoanalytic Association. Knowing that all was not well with Hoffman’s fawning treatment of the encounter, I forwarded the article to the email lists of the Society for the History of Psychology (APA, Div 26) and of Cheiron to see what their reactions might be. Historian of psychology Ben Harris (U. New Hampshire) wrote back in short order. I think his words are better than any summary I might provide. concern of J. J. Putnam and colleagues were unscientific, “spiritual healers”, who were trying to treat mental illness with “religious and mystical approaches”. He makes it sound like a stereotypical fight between science and superstition. In fact, Putnam and colleagues had spent the past couple of years collaborating with the Emmanuel Movement and its leader, Rev. Elwood Worcester to create a version of a psychotherapeutic clinic in Boston. Worcester had a Ph.D. from University of Leipzig, having studied with Wundt and Fechner. Putnam and Boston colleagues ended up renouncing the Emmanuel Movement under pressure from their more narrow-minded MD colleagues in New York and elsewhere, who used the New York Times and other newspapers to charge Worcester with faith healing. Eugene Taylor [Shadow Culture] and Eric Caplan [Mind Games] and others have told this story well, and it is also one of the plots in George Prochnik’s Putnam Camp. One can’t help thinking that today’s psychoanalysts such as Leon Hoffman have trouble admitting that non-Freudians and anti-Freudians were doing a quite nice job treating neurasthenics and neurotics in 1909. They were attacked by neurologists and oher MD’s because they were unwelcome competition and too successful at practicing psychotherapy. I appreciate that my op-ed in the New York Times warranted a comment on your site. It is not at all clear to me what you felt the problem was with my abbreviated historical account as befits an op-ed. Since I am not a historian, but a practicing psychoanalyst more recently interested in research in psychoanalysis, of course, historians, such as Eric Caplan, would tell the story more comprehensively. In fact in one of my early versions of the op-ed I cited Eric Caplan, but this, alas, as well as so many other facts had to be eliminated from the publishable version which had to confirm to a certain word count. Certainly others would have included other facts and eliminated the ones I included, or perhaps summarized the pre-1909 period more effectively than I did. “The Emmanuel Movement was one of the spiritual movements in the first decade of the twentieth century. It was introduced in 1906 as a joint venture of Episcopalian clergy and physicians in Boston which utilized a combination of religion and psychotherapy to help the poor suffering from a variety of mental ills. James Jackson Putnam was an early supporter of the movement. Putnam came from a prominent Boston family, was Professor of Neuropathology at Harvard University, and like his contemporary William James, came to maturity during the Civil War and the post war period; both had studied at Harvard Medical School. Whether the following statement that you make is true, I do not know. “They were attacked by neurologists and other MD’s because they were unwelcome competition and too successful at practicing psychotherapy.” In fact, Eric Caplan maintains in a recent article is that if Freud’s visit had occurred a couple of years earlier (before the upsurge of the Emmanuel Movement) his influence in America would likely have not been as powerful as it was. The New Haven conference in May 1909 was the first medical conference on psychotherapy in which Ernest Jones as well as Putnam and other presented. The fact that “non-scientific” approaches, of course, have a great impact on mental and physical ills is indisputable. And that people have always been attracted to them and continue is exemplified in the present by the ubiquity of “alternative” medicine as well as the power of religion, mysticism, etc. The fact is we do not fully know the therapeutic mechanism of these techniques, except under the global rubric of “placebo” effect. Even in the most researched “biological” emotional illnesses, such as depression, the placebo effect is powerful; and, of course, the natural courses of so many illnesses are self-limited. What I find interesting, is that you criticize me for an inadequate appreciation for the fore-runners to Freud’s visit, whereas, a psychoanalytic colleague criticized me for omitting the importance of AA Brill and the New York Psychoanalytic Society in disseminating psychoanalytic ideas, particularly in the 1920s and 1930s. As a non-historian I do not have the skills to do primary research. All of my work is from secondary sources except for the primary source material about Freud and his colleagues made available by professional historians. From the perspective of secondary sources, the decade prior to and after 1909 in America is a decade that is not appreciated by psychoanalysts, nor taught, as far as I know, by any psychoanalytic school. The role of Putnam, stressed by Freud, was crucial. Whether, Caplan is correct, I do not know, but it makes sense. In my opinion, Putnam, whom himself, struggled with Freud around the concept of sublimation, enabled psychoanalysis to move from a marginal state to one which allowed Brill to become successful. Some of my ideas will be published in 2010 in “History of Psychiatry” and presented at the American Psychoanalytic Association in January 2010 in New York. In that paper, I focus more on the reintegration of psychoanalysis in psychiatry after its more recent marginalization by psychiatry (and psychology): One hundred years after Sigmund Freud’s lectures in America: Towards an integration of psychoanalytic theories and techniques within psychiatry. Thank you for allowing me to engage in this discussion. Dr. Hoffman. I thank you for your contribution. I understand the constraints imposed on you by writing a popular op-ed piece. I think that the critical historiographic issue here is the oft-repeated mythology that psychotherapy did not exist in America, apart from a few spooks and hacks, prior to the arrival of psychoanalysis in 1909. As it turns out — as Eric Caplan’s book made particularly clear to all of us — this was not the case. Even the Emmanuel movement, though religious in character and ultimately rejected by Putnam and the other scientists who had initially helped to promote it, was founded by a man who had trained in Wundt’s Leipzig laboratory before Freud was on the scene. Perhaps more significant, Adolf Meyer’s functional approach to psychiatry was well-established in the US before before Freud’s visit, and it was Meyer who (in the US) brought down the common assumption that mental illness is organic in nature. Freud’s visit served mainly to reinforce the point. Even the idea that childhood sexuality is an important aspect of mental development was part and parcel of G. Stanley Hall’s developmental theory (indeed, it was Freud’s adoption of similar ideas that made him intriguing enough that Hall decided to invite him to the Clark conference). I rarely think it prudent for an author to impose himself in a debate in which his own work is under discussion. Far better, I think, to let the work for stand for itself and allow others to take from it what they will. That said, I was extremely gratified to see Dr. Hoffman’s original piece. It’s been a while since I thought about what I had thought about back when I was writing my book in early 90s. Back then, September 2009 seemed almost as far away as September of 1909 when Freud made his historic visit to the US. Having had almost a decade and a half to reflect on my work, I think I was probably right about somethings and wrong about others. Regarding the former, I think I was right to suggest that the US psychotherapy movement was alive albeit perhaps not so well prior to Freud’s visit. Also, I think I tried really hard not to write the history backwards by holding in check my awareness of how powerful an influence Freud would ultimately become. Where I may have been wrong was to over-develop the economic motives of those American neurologists who opposed the psychotherapy movement. Now that I’m in my mid (or is it late) 40s, I’m persuaded that motives are far more complex than I had originally conceived. Thanks for keeping my ideas alive. Dr. Hoffman’s perspective I found entirely legitimate for a psychoanalyst who is not a historian; his statement could be nothing other than Freudo-centric. However, there are several generations of psychoanalysts-turned-historians who have created the view that there is no history of psychotherapeutics between the eras of Charcot and Freud, that Freud discovered the unconscious, and that Freud was something more than a minor event at the Clark Conference–Herbert Spencer Jennings was the big keynote speaker, not Freud, and the newspaper articles about Freud were trumped up by Hall, whose real motive was to deflect public attention away from William James, Henry Pickering Bowditch, James Jackson Putmam, and Pierre Janet, all associated with the so-called Boston School of Psychopathology, and who had just made a big splash with the opening of the new Harvard Medical School campus on Longwood Avenue. a few years earlier. The Boston School began to flourish in the 1890s, was the original vehicle by which Freud became known in the US until the New York and Washington school around Jelliffe and White began and Adler (originally a student of Jung) founded the New York Psychoanalytic Society. Tempering somewhat Prof Green’s suggestion, psychotherapeutics was indeed flourishing in Boston just before the Clark Conference, as it was also in New York under Adolf Meyer. James’s Exceptional Mental States Lectures of 1896 had launched Boris Sidis as a major figure in the study of crowd contagion, dissociative phenomena, and multiple personality; group psychotherapy for medical patients had been launched at the MGH under Joseph Hersey Pratt; Tufts had a special program in which physicians and ministers took classes together, primitive clinical trials of different systems of psychotherapy were underway at the Massachusetts General Hospital as early as 1903; Prince was practicing psychotherapeutics at the Boston City Hospital; Jung was introduced in 1905 to the Boston psychopathologists by Adolf Meyer, long before Freud was an item in 1909; Prince launched the Journal of Abnormal Psychology in 1906 and had just published on his own case of Sally Beachamp; even the philosopher Josiah Royce had a private psychotherapeutic practice going on the side; Hall himself was in psychotherapy with the Soloman carter Fuller, the first Black psychiatrist in the United States, and so on. Also, most of the young historians emerging today who have something to say about the Emmanuel Movement remain largely unaware that tho’ it was forced to shut down just as it was becoming an international movement, Cabot and Worcester kept thier own private practice going until they rescued Anton Biosen in the 1920s and helped him launch the clinical pastoral education movement, of which the Emmanuel Mvt. was chapter 1. There already was a flourishing psychotherapeuic scene going on in the United States before Freud, both out in culture, and, tho’ only budding, in the domain of scientific psychology and psychiatry. Finally, you may turn your collective historical noses up at the advances of the spiritualists and mental healers, but William James concluded from a review of Janet, Binet, and Breuer and Freud (Freud was always considered the junior author to Breuer in Boston until 1915), that the mental healers were, in fact, practicing sound methods of psychotherapy before the Anglo-American scientists and the Protestant Christians decided to take it up. This discussion about the status of psychotherapy in the United States before Freud is very interesting and relevant to the contemporary scene. This is related particularly to the issue of the motives for the professionalization of the field and the “conflict” between the medical profession and non-medical practitioners, which, of course, there were many. Until researching the op-ed article, I was not aware of Freud’s noting, which I cited earlier, that the Emmanuel Movement was problematic because of the lack of medical training by the practitioners. “The immediate occasion of my writing the small volume which was the starting-point of the present discussion was a charge of quackery brought against a non-medical member of our Society, Dr. Theodor Reik, in the Vienna Courts. It is generally known, I think, that after all the preliminary proceedings had been completed and a number of expert opinions had been received, the charge was dropped. I do not believe that this was a result of my book. No doubt the prosecution’s case was too weak, and the person who brought the charge as an aggrieved party proved an untrustworthy witness. So that the quashing of the proceedings against Dr. Reik is probably not to be regarded as a considered judgement of the Vienna Courts on the general question of lay analysis. When I drew the figure of the ‘Impartial Person’ who was my interlocutor in my tract, I had before my mind one of our high officials. This was a man with a friendly attitude and a mind of unusual integrity, to whom I had myself talked about Reik’s case and for whom I had, at his request, written a confidential opinion on the subject.1 I knew I had not succeeded in converting him to my views, and that was why I made my dialogue with the Impartial Person end without agreement too. The difference between Freud’s attitude towards medical education was strikingly different from AA Brill’s in the New York Psychoanalytic Society. The settlement of “the lawsuit” in 1989 led to greater openness in the American Psychoanalytic Association and its affiliated Institutes. Yet, conflicts around a variety of educational and regulatory issues persist. Why do these conflicts persist in the field of psychotherapy and psychoanalysis and not in other health professions? Perhaps it has to do with the fact that even at this stage of science, we really do not know the true mutative mechanisms of psychotherapeutic interventions, whether the verbal mode of psychoanalysis or the non-verbal modes of mediation, religious activities, or relationships in general. “And here I should like to add that I do not think our cures can compete with those of Lourdes. There are so many more people who believe in the miracles of the Blessed Virgin than in the existence of the unconscious. If we turn to mundane competitors, we must compare psycho-analytic treatment with other kinds of psychotherapy. To-day organic physical methods of treating neurotic states need scarcely be mentioned. Analysis as a psycho-therapeutic procedure does not stand in opposition to other methods used in this specialized branch of medicine; it does not diminish their value nor exclude them. There is no theoretical inconsistency in a doctor who likes to call himself a psychotherapist using analysis on his patients alongside of any other method of treatment according to the peculiarities of the case and the favourable or unfavourable external circumstances. It is in fact technique that necessitates the specialization in medical practice. Thus in the same way surgery and orthopaedics were obliged to separate. Psycho-analytic activity is arduous and exacting; it cannot well be handled like a pair of glasses that one puts on for reading and takes off when one goes for a walk. As a rule psycho-analysis possesses a doctor either entirely or not at all. Those psychotherapists who make use of analysis among other methods, occasionally, do not to my knowledge stand on firm analytic ground; they have not accepted the whole of analysis but have watered it down—have drawn its fangs, perhaps; they cannot be counted as analysts. This is, I think, to be regretted. But co-operation in medical practice between an analyst and a psychotherapist who restricts himself to other techniques would serve quite a useful purpose. George Makari’s new book “Revolution in Mind” by noting that Freud’s ideas did not spring de novo out of his pre-frontal cortex. There are always contexts in which great thinkers synthesize their ideas. So with Darwin as well. “unscientific” nature of psychoanalysis, turned psychiatry back to the pre-Freudian biological days of Kraepelin. Today an explosion of medications for just about all that ails the human psyche is displacing the Freudian century. The unscientific nature of much of this scientific revolution is now beginning to be appreciated. therapy du jour, be it psychological or biological. They each have a place that is hard to fully evaluate because the human psyche remains largely mysterious. I am pleased that George Prochnik’s book about Freud’s visit to Putnam’s camp has been given the recognition this fine work of scholarship deserves. Prochnik as a family member and had access to family papers in writing his history.